Agapanthus is a striking tropical plant that can make a statement in a Maine garden – mostly because they don’t belong there. They are a South African native with large, striking blue flowers on top of fleshy stems. Their thick leaves are shaped like straps. Find a mostly sunny site and rich soil that drains well. The plants can be grown in the ground in Maine, but they’ll look better in pots, which allow the flowers to reach about 5 feet tall. They’ll want to be snug in that pot, to encourage blossoms rather than foliage. 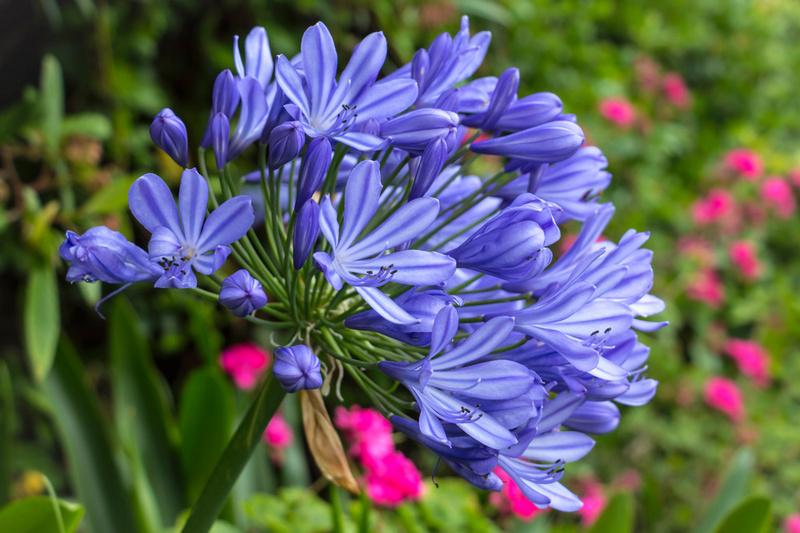 You’ll need to water your Agapanthus at least weekly and fertilize it every other week. Also, cut off the blossoms when they go by, so the plant doesn’t waste energy producing seeds. If you have room, bring them inside for the winter and put them back outside next spring. A cool room with good sunlight will make them happiest in a spot so far from home.